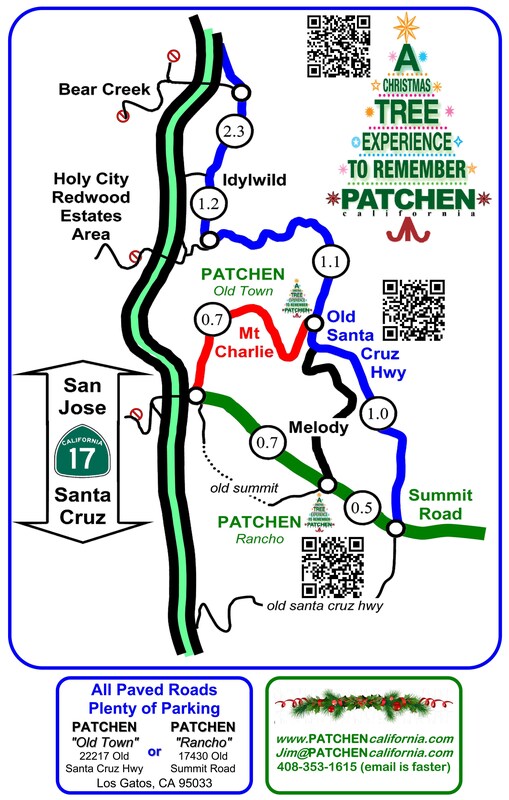 On the first Friday morning of December, every year since 1994, PATCHEN, in cooperation with Colliers International global real estate company of San Jose, hosts the entire 2nd grade class of a local school for a Holiday outing in the Santa Cruz Mountains. It starts with 200 or more kids bouncing like ping-pong balls from huge yellow buses and heading straight for the cookies and milk. The Colliers brokers break them into small groups and start up the mountain in search of perfect Christmas trees. Over the next two hours these kids learn to cut down trees, plant seedlings in cans to take home, and hear stories about the ghost town of Patchen and how “Mountain Charlie” lost one eye and almost his life to a Grizzly Bear. The kids are predominantly from low-income families and most have never been out of the city before, so this is an experience that will stay with them for a lifetime. Santa arrives with candy canes and their eyes get as big as saucers and we all sing Christmas carols. With kids back on the buses, we pack up truck-loads of Christmas trees, donated by PATCHEN for families in need. The refreshments and even the trucks to haul the trees are often donated by local businesses.